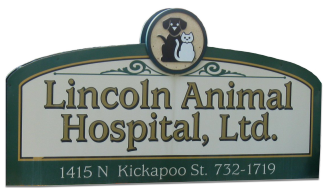 Here at Lincoln Animal Hospital, we are proud to offer USDA certificates for international travel. If you want to travel internationally with your pet, you need to plan ahead. Since each country is different, you will have to contact the embassy or consulate where you are going to find out what you need to do. Though every country has different requirements, most require a health certificate that is done by a USDA-accredited veterinarian. Luckily, we have a USDA-accredited veterinarian. If you are not a client, you need to make sure you bring your pet’s records in with you to the examination. At the time of your pet’s examination, we will go over the forms that you need. There are times when we will have to run some tests to ensure that your pet is healthy enough for travel. We may also have to treat your pet prior to traveling. You will always need a health certificate and proof of vaccination. You may also need a microchip and blood tests. Many countries require that your pet get treated for parasites prior to travel. You may also need certificates for the airplane ride. Since each country is different and we can’t stay up to date will all of the changes in each one, it is important that you call ahead and know what you need. Then, we will make sure that your pet is all ready to go! If you have any questions about USDA accreditation, USDA health certificates, or traveling internationally with your pet, don’t hesitate to contact us today at (217) 732-1719.